Indium Corporation will feature SACm™ solder paste at SMT Hybrid Packaging May 6-8 in Nuremberg, Germany. 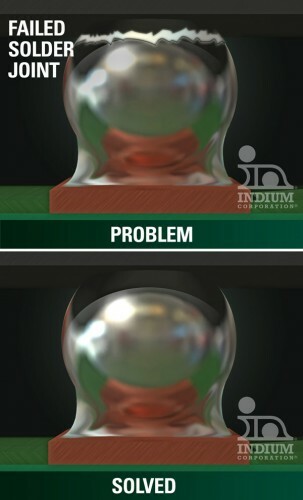 The platform consists of Pb-Free solder pastes using Indium Corporation’s patent-pending SACm™ solder paste technology for board-side interconnect, and SACm™ solder balls (spheres) for package-level interconnect. Indium Corporation products will be on display at stand 7-430.